Download these 10 Free Vintage Lightroom Presets to recreate the glamorous atmosphere of the good old days in just a couple of clicks. These retro Lightroom presets serve both to remind everyone of classic works created by great photographers and signify the return of the beloved “old-fashioned” style. You can use our retro Lightroom presets to make your images look of a different era, an era when color photographs were still a fascinating innovation. You can apply several vintage filters to a single photo as long as they complement each other. These Lightroom retro presets were designed to add several layers of grain, sepia light, and film simulation effects to your photographs, allowing you to create the perfect look of old times. LR Preset #1 "Purple Shadows"
LR Preset #2 "Cold Contrast"
LR Preset #3 "Soft Sepia"
LR Preset #6 "Old Film"
LR Preset #9 "Gold Light"
LR Preset #10 "Pink Shine"
This collection of Free Vintage Lightroom Presets contains 10 pre-made vintage effects that are capable of making any picture look like it was taken by an old film camera. The main purpose of any preset is to make an image classier and stylish, which is why they are frequently used by photographers and Instagram bloggers. Due to how easy it is to apply vintage Lightroom presets, adding a “retro” touch to your work is simpler and faster than ever before. 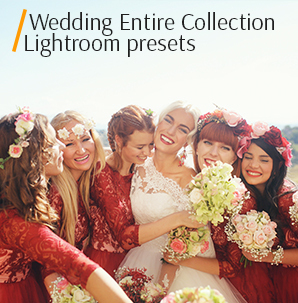 Each vintage preset in our collection can be applied and adjusted in a couple of clicks. These retro presets enable you to add a new dimension to your work and make your photographs stand out. Vintage Lightroom Preset #1 "Purple Shadows"
This preset will add a subtle glow to the photograph, while also making the colors more dramatic. It’s highly recommended for nature and portrait photos as long as they have sufficient lighting. Adobe Lr Preset Free #2 "Cold Contrast"
This preset increases the saturation and is ordinarily applied to dim, low contrast photographs. It can also be applied to portraits to improve the skin color while masking all possible skin flaws. Vintage Preset for Lightroom #3 "Soft Sepia"
If you’ll apply this preset, your photo will become softer and gain a subtle yellow tint, while the colors will fade. It looks best on thematically appropriate images that have a vintage feel. It isn’t recommended if you want to have bright and vibrant colors. Free Lr Preset #4 "Autumn"
This vintage Lightroom preset was designed to make your photographs look warmer and livelier by strengthening the colors and adding a reddish tint. This vintage Lightroom preset perfectly suited for retro pictures regardless of the subject but provides the best results when applied to outdoor shots. Vintage Preset Lr Free #5 "Forest"
This preset is capable of dramatically changing how your photograph looks by making it noticeably brighter, warmer, and more vibrant. It goes especially well with landscape and fashion photos. The preset is less suited for close-up portraits since it makes the skin tone look unnatural. Vintage Preset Lightroom #6 "Old Film"
Add a sense of warmth and happiness to your pictures with this vintage Lightroom preset. It makes the image softer and more contrast, simulating the look of an old film photo. Apply it to outdoor and landscape photographs to achieve the best results. Preset Lightroom Vintage #7 "Darken"
Designed to enrich the colors and add a retro glow, this universal preset can enhance any photograph. It looks particularly great when applied to city and fashion photographs and is great at highlighting important details. Free Vintage Lr Preset #8 "Street"
Add an aged feel to an image by making it brighter and fading the colors by using this preset. It creates a classic 70s filter look. For best results, use it with images taken in sunny conditions. Adobe Lr Vintage Preset #9 "Gold Light"
If you’d like to add a nostalgic feel to your photographs, this preset is up to the task. It makes the colors warmer by applying a goldish tint that complements beach pictures and close-up portraits that can benefit from a vintage Polaroid filter. Preset Lr Vintage Free #10 "Pink Shine"
This preset is among the best for giving an old-fashioned look to a picture. It softens the colors, adds a pink tint, and looks fantastic when applied to portrait and wedding photographs. When your goal is to create a vintage-looking image by using retro filters or presets, you should focus your attention on adjusting its color palette and saturation. The majority of old photographs aren’t exactly bright and their colors aren’t very saturated. Keep that in mind while picking vintage Lightroom presets for your photos. Lowering the contrast of a photograph makes it appear flattered. With the assistance of our vintage presets Lightroom, you can easily adjust the contrast of the pictures to create the needed effect. Due to the flawed nature of old color-rendering methods, the colors on retro pictures are usually poorly saturated. You can use our vintage Lightroom preset collection to recreate the faded colors of old photographs and lower the saturation and hues of your images. The retro style of any photograph shouldn’t only be conveyed by filters in Lightroom, but by the subject matter as well. Such presets work best with landscape photos and photographs of old houses or vehicles. 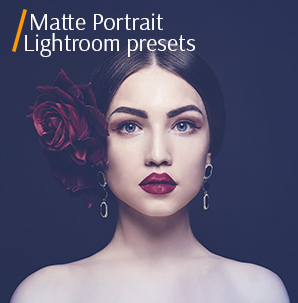 A studio portrait can also look great with a vintage preset, but only if the subject’s makeup and attire are appropriate for the time you’re depicting in your work. Free vintage Lightroom presets can be applied to modern photos too. Since images taken in a studio have professional lighting and props, they can produce some interesting effects when paired with retro presets Lightroom. While they don’t look like old pictures, they always manage to grab the viewer’s attention. You've installed our Lightroom presets but have some questions about them? Read our complete guides to How to Add Presets to Lightroom and How to Use Lightroom Presets for fast photo editing. Find all the answers in these articles to start professional image color correction right now. 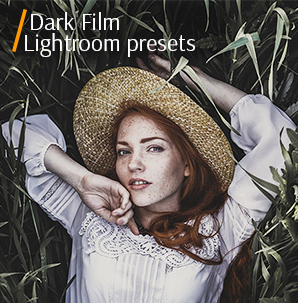 Interested in more collections of Lightroom Presets? View more to find a perfect effect you are looking for.